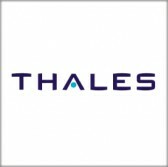 Thales has received a potential $37 million contract to supply the U.S. Army‘s security force assistance brigades with updated multiband tactical radios. The Army Chief of Staff picked the AN/PRC-148C Improved Multiband Inter-Intra Team Radio technology to facilitate communications for SFABs, Thales said Tuesday. IMBITR is designed to support interoperability between joint and coalition forces through narrowband, wideband and satellite communications networks. The service branch ordered the radios as part of a network modernization initiative. SFABs are tasked to assist, advise and collaborate with foreign allied forces in efforts to sustain theater security.